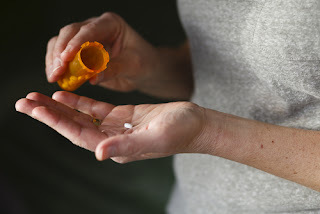 Spanning decades now, there has been an argument about whether or not a person who is taking prescription medications is truly in recovery. This argument seems to be based primarily in the realm of non-professionals and a few staunch 12-step hardliners, and may sometimes influence individuals in recovery to avoid or refrain from taking prescription medications due to the negative associated stigma. Considering the many dynamics of prescription medications, their indications, and possibilities for improving one’s life, this argument is nothing less than ignorant and can undoubtedly prove harmful. 1) Early recovery from alcohol, opiates, and benzodiazepines often require medical supervision. Utilization of mediations in these cases are imperative to prevent seizure, coma, and even death. 2) Clinical trials have proven that utilization of specific medications reduce withdrawal symptoms and cravings in early alcohol and opiate abstinence, thereby decreasing probability of relapse and recidivism. 3) With alcohol and opiate addiction, often without the assistance of prescription medication, abstinence and recovery is nearly impossible to achieve. Not only do these medications alleviate dangerous physical withdrawal symptoms and conditions, but essentially buy the alcoholic or drug addict time while the neurochemical system is attempting to repair itself. 4) Supportive medications utilized in early recovery, or in the maintenance of second and third stage recovery phases, are designed to alleviate cravings, anxiety, depression, and mood disorders. Essentially, these medications allow the person to experience an emotional and mental place where they can finally begin to tolerate the therapeutic processes and begin to redirect their lives. What many scientists, mental health professionals, and substance use counselors now understand is that more often than not, the addiction itself in many cases is a symptom of preexisting, underlying conditions. These conditions are common, widespread, and are not reserved for the person struggling with alcohol or drug addiction. Depression, trauma, anxiety, chronic pain, and other conditions too vast to even begin to mention, may be addressed with psychopharmacotherapy, and in conjunction with a 12-step program, therapy, and sober living environments, may help to prevent the alcoholic or addict from self-medicating these conditions with drugs and alcohol. Even the founders of Alcoholics Anonymous, Bill Wilson and Bob Smith, made sure to include in the Big Book specific examples referencing those who suffer from “grave mental and emotional illnesses,” and wrote that it is perfectly acceptable for these individuals to seek outside professional help, not instead of, but combined with their 12-step programs. Keeping in mind that addiction, whether to alcohol or drugs, is often symptomatic of again, underlying or preexisting conditions, to remove the alcoholism or the drug often creates a worst-case-scenario without the assistance of supportive medication. In many cases, if someone has an underlying mental or medical illness, once the self-medicating properties of alcohol or drugs are removed, this illness will quickly surface. The key in the journey of recovery is to achieve a higher quality of life, and if prescription medications are a part of that journey, then what the individual does not need is to worry about the stigma associated with prescription medication use, by those who do not understand the complex sciences of neurochemistry. Simply put, people do not recover to feel worse. If addiction is combined with mental health or medical issues, it may be imperative to address these issues with medications, or the individual suffers a high chance of self-medication of symptoms via relapse.